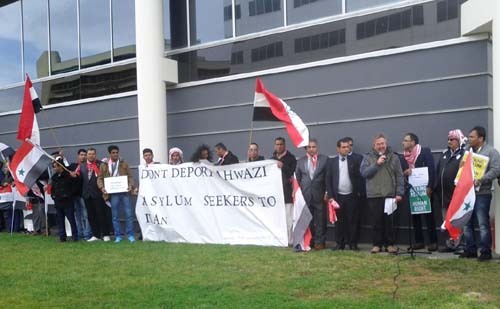 Over 100 people from the Australian Ahwazi community, the majority travelling from interstate, gathered outside the Department of Immigration and Border Protection in Canberra on Monday 21 April to protest the Government’s proposal to transfer failed asylum-seekers back to Iran. John Minns from the Refugee Action Committee addressed the crowd, noting the double injustice faced by Ahwazis who flee persecution in Iran only to be imprisoned in Australia’s immigration detention network. The Ahwazi are an Arab minority from the oil-rich region of south-west Iran. Their persecution by the regime, including unlawful arrests, torture such as beatings, electric shocks and floggings, and executions, are well documented. According to Amnesty International, Iran executed 544 people in 2012—many on false charges such as “waging war against God”—more than any other country except for China. This year marks the 90th anniversary of the occupation of Ahwaz province by the Shah of Iran. A peaceful uprising which began in 2005 was brutally repressed by the regime, killing over 100 unarmed protesters. 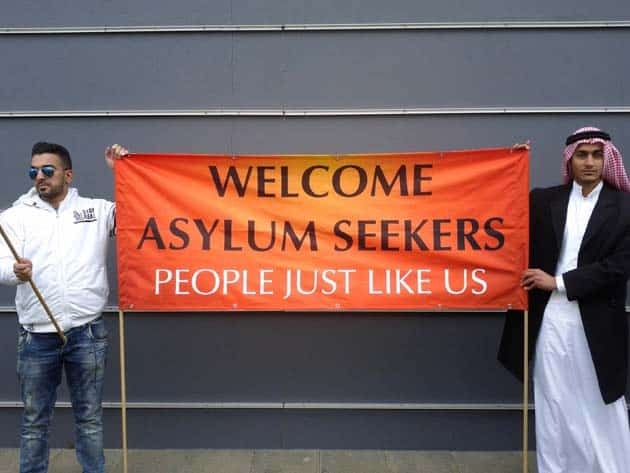 There are currently more than 1000 Ahwazi refugees in Australia, the majority living in the community on bridging visas, and approximately 100 more in detention centres including on Manus Island and Nauru. “If the Australian Government sends these people back many of them may face inhumane treatment, may be put in jail and may be punished by the death penalty. Following the protest at the Department the group’s numbers swelled to 150 as they travelled to the Iranian Embassy for a protest they hold there annually.